It’s not just a street talking about this dress, it’s the whole world! So first off, to answer your question simply. 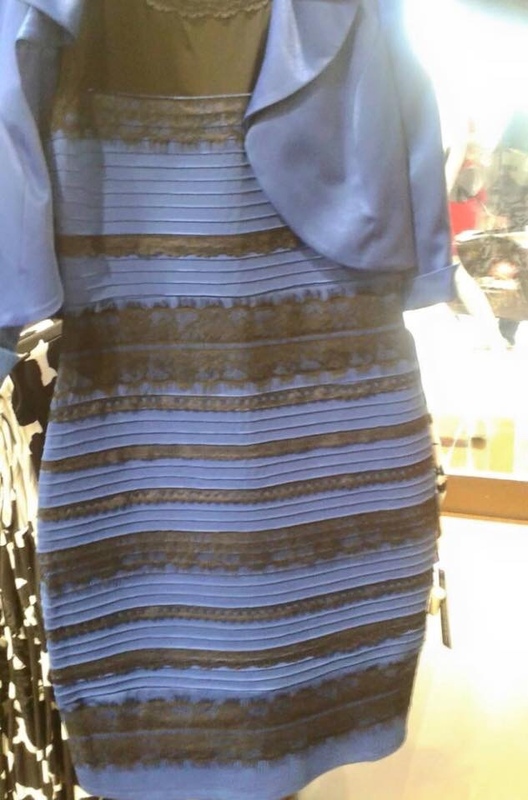 The Dress is BLUE and GOLD!! Here’s why! The function of your eyes are higher than the ones who think it’s white and gold. A middle classed, moderate salary worker. You have a weak eyesight and just need a higher numbered glasses. You lag behind in life and are a social media geek. You have higher functioning eyesight and brain than both of the above, You are smarter in life and are extremely intelligent. The people who think it’s either of the above, are either your employees or have achieved nothing in life. Now stop worrying about the least productive things in life and put your time more into starting another social movement like the ALS challenge or something else.